Sometimes for the productivity of an employee it's necessary for you to know what he is doing on Android phone right now. Install Spy To Mobile on Android to check on your employee’s work phone and be sure that he is diligent. Check his work phones with Android monitoring app. SpyToMobile Android app is the best way of Android mobile phones monitoring. Install this Android monitoring application, sign up and do not worry about your employees work by checking on their cell phones. SpyToMobile is an Android tracking app for mobile devices which sets a high standard on the market. Definitely it's a must have. This Android tracking app is based on receiving data from GPS satellites. After installing the Android application, the phone will work normally. Our Android tracking app for Android cell phones does not conflict with anti-viruses, as it is a safe Android tracking application. SpyToMobile is a powerful Android tracking app. 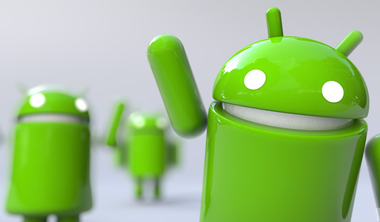 Nowadays, Android monitoring applications become more and more popular. Do you know whether your employees are at work? Or your employees spend their working hours chatting with friends on WhatsApp? Any person may come across this kind of situation. The Android tracking app reveals the truth for everyone. Our Android monitoring application will help you to figure everything out. Our Android monitoring app is available on all Android cell phones. If you are really looking for an Android monitoring app, don't hesitate! Install SpyToMobile on the Android phone you'd like to check on. You will be able to view all activity of the phone with the help of our Android monitoring app. It's the easiest way to monitor Android mobile devices. This Android monitoring app is an Android device software with 24/7 technical support. Dear customer, You need to root your target device to intercept WhatsApp messages and calls. You can find this info at our F.A.Q. mosa! Dear customer, you can read our F.A.Q. to know how to root a target phone. Hassan Boubrik, Dear customer, As we told, WhatsApp available on rooted devices. You need to root the target phone to get WhatsApp messages. Jeff Davis, you need to install app on the target phone. I can't see the partner WhatsApp messeges in my phone, why i will install root OS in my phone, it can't WhatsApps messeges supported, so tell me what i should do plz. gafarosman, you need to contact with our tech support. Dear Hus, Send request to our tech support. They'll help you. how can i recover the password of my account which was i forgotten? This is best spy app for cell phone I have ever seen. I installed app on targeted phone and when I pressaw 51 and call gives me a msg of no connection or invalid MMI CODE . Please call me not email me for tech support. This was installed on my phone without my knowledge, how do I remove it?? can it be installed remotely? Good spy app. WhatsApp spy is also available but I don't need it. Help please I accidently deleted device from programme. Have used for a few wks excellent so far. my email for as above. The app is on the target phone and I know it's connected to the internet, but when I login online, it says device is disconnected? What do I do? I've been using your service for a year. Whatsapp spy work great. I recommend you to add more social networks. The app is installed, and i was recieving information from the phone,during the trial period for the first 3 days. After that it says its "dissconected (offline)" so i put more money on, but still says the same. Can you advise me on how to make it connected ( online)? Can your spy service be used on iphone? Je vais me désinscrire comment faire ?? app is installed on target phone and have all messages from yesterday when it was installed but haven't seen any calls. Target phone has been in use for passed three hours and haven't got anything. Why??? I’ve reached out 3 times and have yet to get help. I am recieving an error message that states that the device is linked to another account. I use this for 2 years, and I have to assume that when the app was updated, I was shut out of my account. I tried to recover the account, but had to set up a new one. Now I’m stuck. It’s the same email address as before, but the phone will not register. Dear admin Please help me, I want to know how to add another cellphone on one account? Hello. Do I need the person phone in accesses? Or what so i do. Hello. Do I need the person phone in accesses? Or what shold i do. only uploading certain sms messages and only like once every 2 days? Any reason as to why ? The phone is online all day and there are messages between us that aren't recorded why is that? I no longer get updates can you please help. C can see all data of the phone I spying on she finds ways around too arasing Data probably change dates. Bead help. I have a question on the range when you select a time range and push play what does the red line mean? Does it mean that gps location was off and didnt record anything or ? Also how percise is the wifi location?. like could it say a persons at mcdonalds and be 2 houses down and it show they are at mcdonalds?